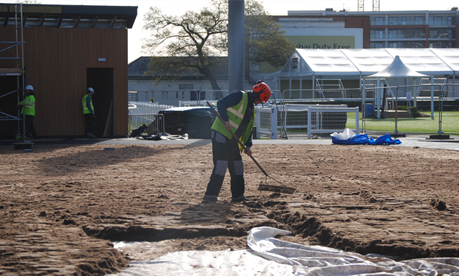 Dawnus Construction who are carrying out a £5 million redevelopment at Newbury Racecourse which included the construction of a pre-parade ring contacted us as we were well known to them having worked on previous contracts. They were struggling to source the correct re-inforced turf and had an extremely tight timeframe with the flat race meet being just days away which was being attend by Her Majesty Queen Elizabeth II. 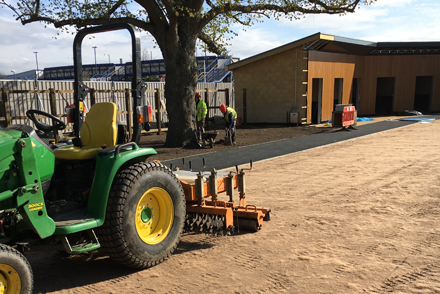 Through our extensive list of suppliers we were able to source the turf through County Turf and we deployed our most experienced landscaper and other staff with CSCS clearance. 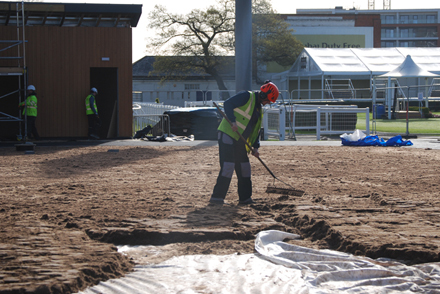 Our first job was to supply and spread fibre sand as a consolidated root zone and with the assistance of Andy from Aspect turf we under took the installation of 570 sq meters of re-inforced turf which arrived in 10 meter rolls. 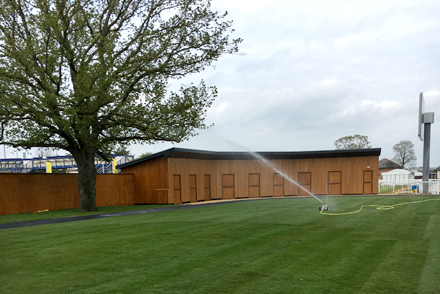 It was a particularly dry period so we had round the clock sprinklers in place in preparation for the HRH visit. 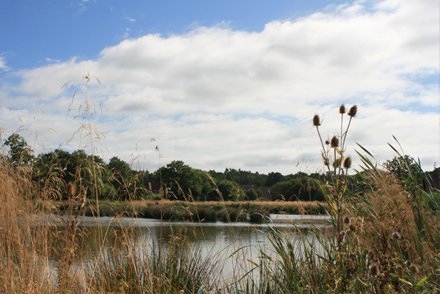 Just 2 miles west of Bracknell in the County of Royal Berkshire, Jennett’s Park provides community and recreational facilities and adjoins a large country park. Construction started 10 years ago and we have recently taken on the site. Previously some planting was done, but this failed so we have been tasked with replacing much of this. Our initial work was to cut and clear the large green open spaces and dangerous trees over woodland paths meant that there was not access onto the open spaces. We cleared these and installed gates. All of this work was done through the request of Bracknell Forest council so that they could get these open spaces safe for the general public and open them again. We soon then secured the maintenance of the open spaces and the number of flower beds in these areas. These beds were totally overgrown which required weeding, spraying – in addition the gravel pathways also needed spraying. 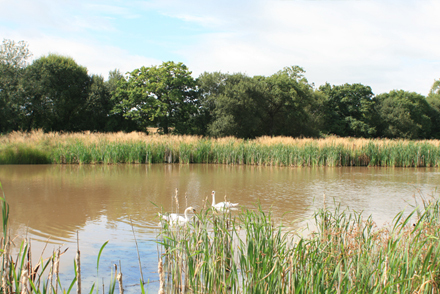 The council were impressed with the quality of our work and professional approach and asked us to carry out similar works to Peacocks Meadows which were adopted by the council. 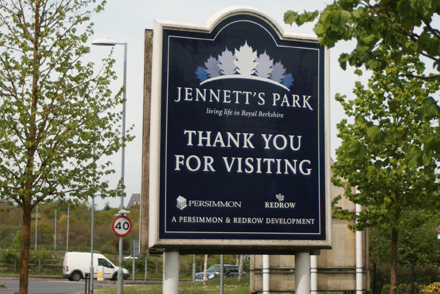 Towards the end of the summer 2015, we took on more areas in Jennett’s Park such as play areas, maintaining the benches, litter and dog bins. More tree work followed where we pruned and coppiced trees and shrubs along the Highway Verges. We have since put together a winter programme for the shrubs and borders and have recently started a planting scheme to replace failed/overgrown shrubs that were originally planted when the site was first developed. We have followed the original site plans and deployed a landscaping team onsite to carry this out. We will continue to maintain the whole site until the council adopt it back sometime in the future. Due to our professionalism, competitive pricing and large pool of up to date equipment work from this site has lead to more with Bracknell Forest Council. 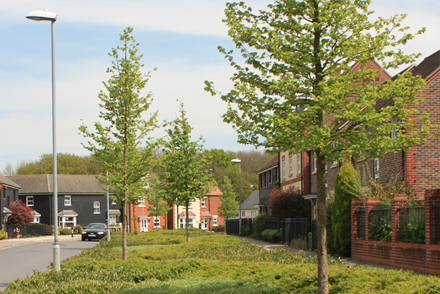 Scofells are the incumbent landscaper on the Jennetts Park development at Bracknell and, other developments that we TDS are progressing toward adoption on behalf of a number of developers. They are a first class company, who respond to any requests from us within 24hrs, but usually on the same day. 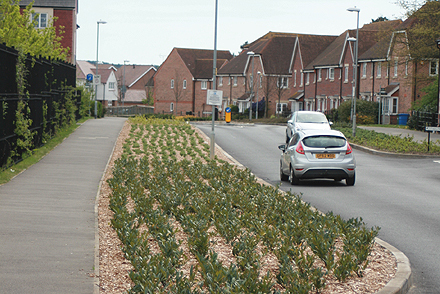 I started using them to maintain the landscaping on the Consortium roads at JP and, due to the excellent service they provide I have subsequently recommended them to other developers in the South East. I would endorse them to carry out works for you, without hesitation. 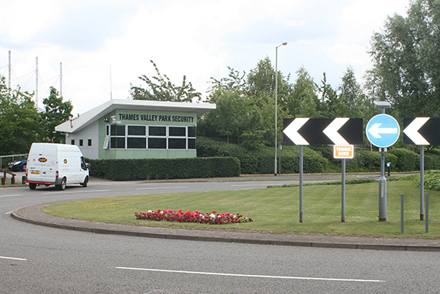 The Newbury and District Society owns a large showground just north of junction 13 of the M4 which hosts many shows including The Berkshire Show, The Southern Motor Home as well as other events such as Race for life and festivals. Back in 2011 the committee approached Scofell Landscapes because they were looking at a more structured approach to the maintenance and management of the grounds. 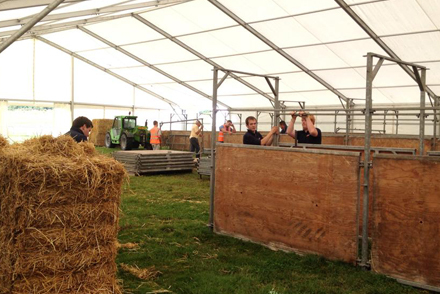 In addition to this we were brought in to play a key role in the set up and preparation for the The Royal County of Berkshire Show which is one of the area’s most anticipated events, which takes place annually just outside Newbury and draws crowds of up to 70,000 from far and wide. This varies for setting up livestock pens to ensuring the members enclosure is decorated with contemporary plant displays. 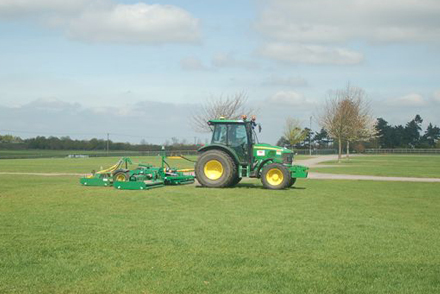 Overtime our involvement has developed and evolved into more of a partnership with the Newbury and District agricultural society team and a solely responsible for the care of the grounds caring out all areas of grass cutting, fertilising, spraying, boundary hedge cutting etc. 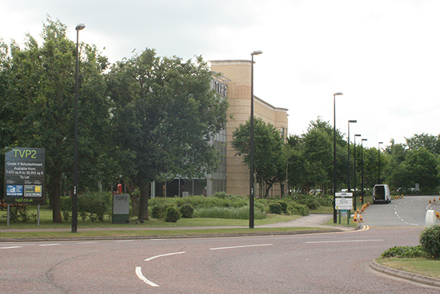 In 2015 work started on the new society building and although we were not involved in the construction of the building we have now taken ownership in terms of the maintenance and landscaping of it. Our skills and services extend far beyond the grounds maintenance such as management and set up of various shows and charity events. 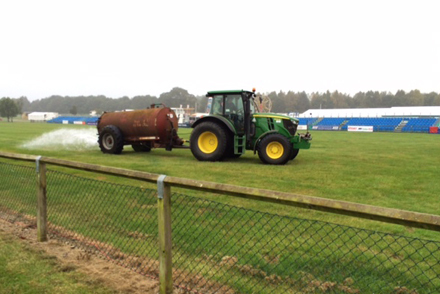 Scofell manage and maintain the showground throughout the year and also provide us with a show team to help with the build and break down for the Royal County of Berkshire Show. Ben and his team do a fantastic job throughout the build and take on tasks such as putting up the cattle stalls in our building and livestock penning, to erecting the signage across the whole site. The team at Scofell have a very hard working attitude and commitment to the job; I know I can rely on them to get the job done to the highest standard. I always receive great feedback year on year from our volunteers about how much they enjoying working with the team. No job is ever too much! Edenbrook is a development by Berkeley Homes with a selection of distinctive high specification homes in Fleet, bordering a highly desirable setting of an 82 acre country park, open green space and woodland. 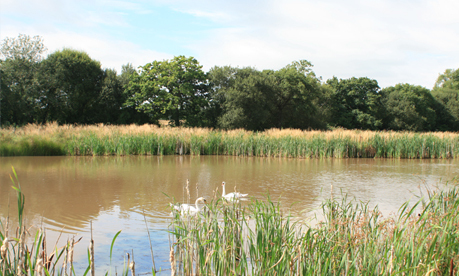 Scofell Landscapes were brought in originally to maintain the country park which included large open spaces, foot paths and ponds. We worked to a management plan, drawn up by Berkeley Homes and approved by Hart District council to maintain and enhance the area. Regular tasks included grass cutting, path clearance, litter picking as well as maintenance and treatment of invasive weed species. Seasonal tasks including ditch dreading and reed clearance. 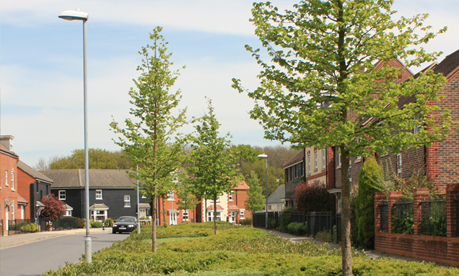 In the area of the development designated for residential development we were deployed to carry out tree surgery and vegetation clearance again working closely with the developers and carrying out any remedial works required after other services have left site. Edenbrook is an on-going project. Scofell’s work is of good quality and performed in a professional manner. Reliable in service and have good expert advice. 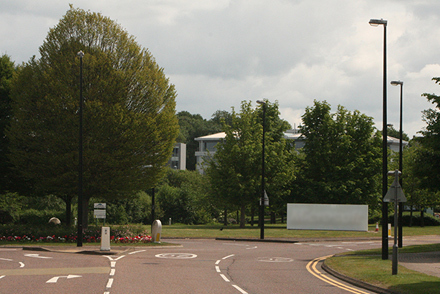 The Downs School is a secondary school and sixth form college in Compton, new Newbury. Described by Ofsted as outstanding, it serves rural communities in the Berkshire Downs and beyond. 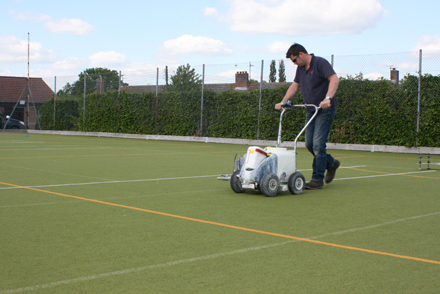 Our HQ is relatively close to The Downs School, and our first work on the school’s grounds was to perform one-off line marking on the synthetic turf tennis courts. We provided our standard service, using laser equipment to ensure straight lines, accurate dimensions and square corners. 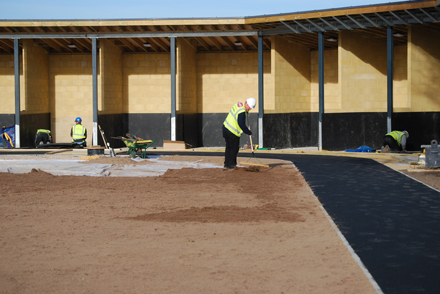 Following successful completion of this work, the school asked us to tender for its overall grounds maintenance contract. 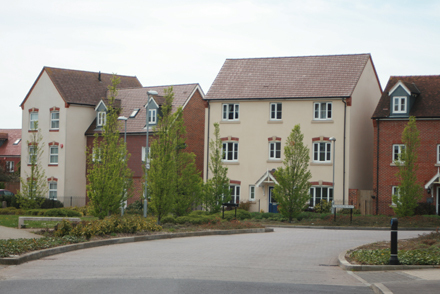 After a thorough tendering process – and despite stiff opposition – we were selected for the contract in January 2013. 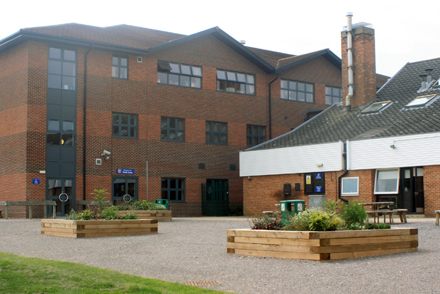 Since taking on this contract, we have worked with the school to improve the overall quality of its surroundings and environment. 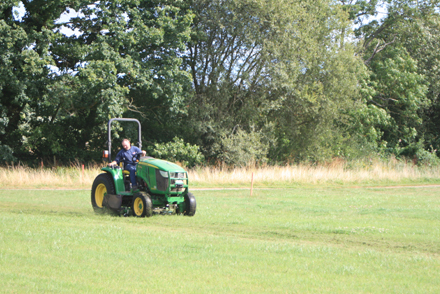 In particular, we aimed to rejuvenate the school’s deteriorating sports pitches, using a programme of aerating and harrowing to breathe new life into the soil. 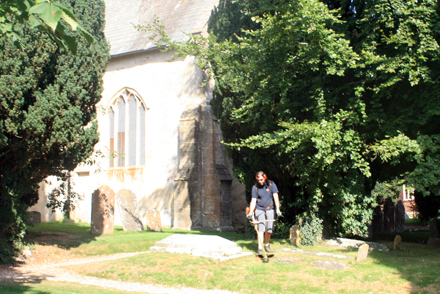 The Downs School’s setting means we have faced some challenging terrain. 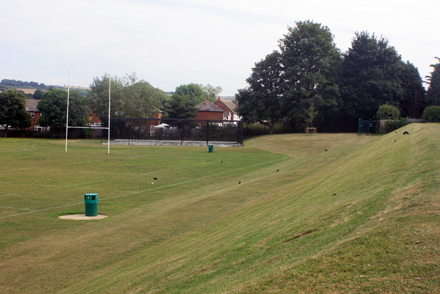 Steeps slopes surround the sports fields. 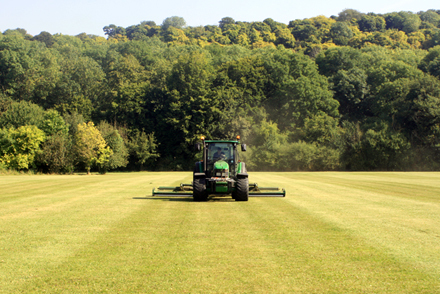 In order to manage these effectively we have invested in a specialised bank mower. 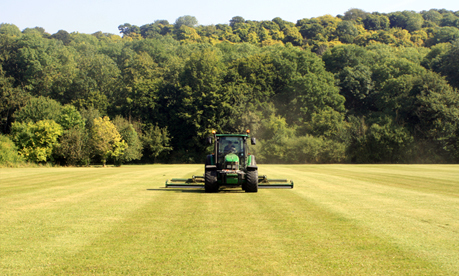 This enables us to provide a consistent finish to the grass without compromising safety or efficiency. As our relationship has deepened, we have explored additional ways in which we can ease the maintenance burden faced by the school’s staff. For example, we trialled a winter gritting programme, using our temperature monitoring service to prepare the school’s grounds for cold weather when required. This freed up the school’s maintenance team for other tasks – we have since moved to a full winter services contract. Scofell Landscapes have been maintaining our grounds since September 2013. 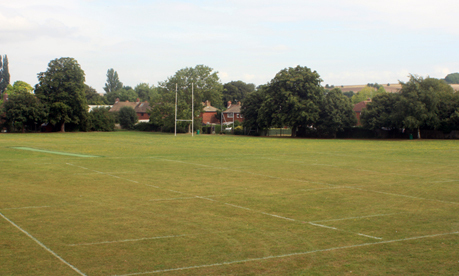 We have always found them to be very accommodating and do a first class job around the school and to our sports pitches. Whenever we had an emergency call out during the winter, they never let us down and are usually there within the hour. The attitude of the company to assist and work with the school has made a big difference and we look forward to a long term relationship. 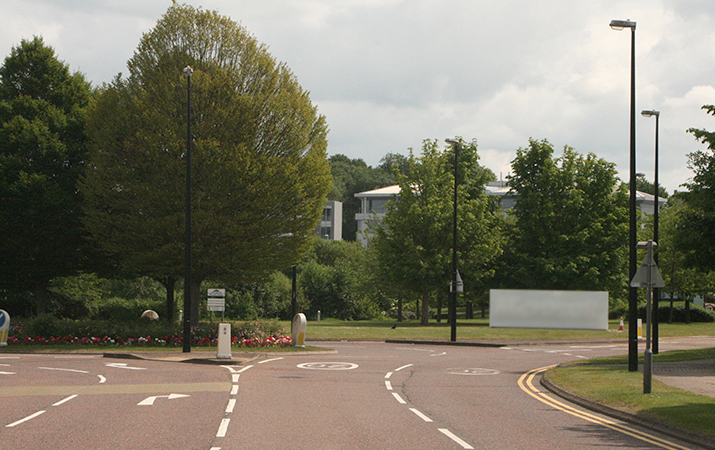 Thames Valley Park is a prestigious business park on the outskirts of Reading. 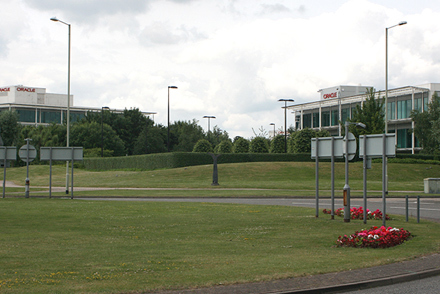 Just off the M4 and within easy reach of London, it’s home to companies including Oracle, Microsoft and BG Group. 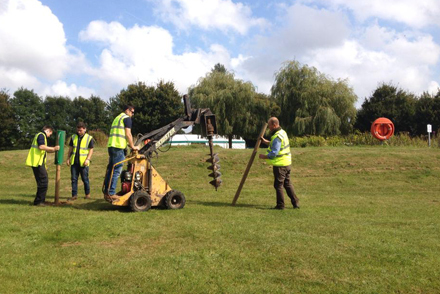 As we had previously provided tree surgery services to Thames Valley Park, the management approached us when the park’s grounds maintenance contract was up for tender. The contract began in June 2012, at which point we assigned two permanent staff to the site. 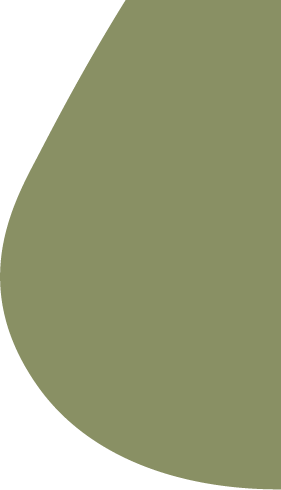 They work there full-time, handling agreed project work and any ad-hoc issues that arise. 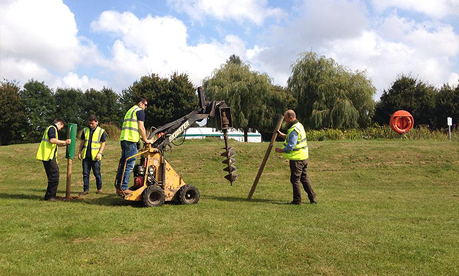 However, our most pioneering work at Thames Valley Park is our project to replace petrol tools and machinery with battery-operated alternatives. This will slash emissions and cut noise. In time, we hope to implement solar charging too. It has been a pleasure to work with Scofell Landscapes Ltd, a company with such a high standard of service and professionalism but still able to retain the flexibility to work in partnership to deliver innovation and sustainability where ever possible. Lambourn is a medium-sized village situated not far from the M4 between Newbury and Swindon. 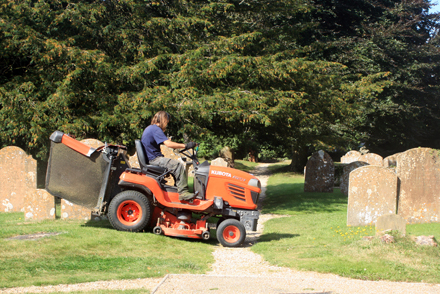 The local parish council had relied on the same contractor for many years, using them to maintain churches, burial grounds, footpaths, bridleways and more. In 2010 we tendered for this contract along with the existing supplier. We were awarded it for three years, becoming responsible for maintenance and upkeep of public spaces controlled by Lambourn Parish Council. A key element of our successful bid was the fact that we agreed to send a regular team to perform the maintenance work. Because we use the same people week in, week out, they have become familiar with every area for which we are responsible. Nothing gets missed. Indeed, everything gets done properly and appropriately given the time of year, weather conditions and requirements. 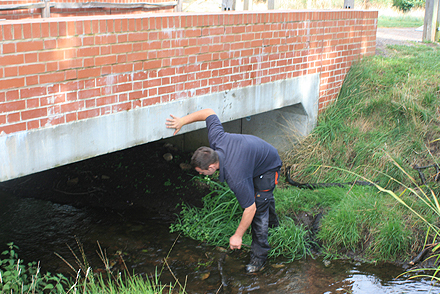 What’s more, we’ve been able to suggest and make improvements to the area, often as part of our regular work. For instance, we’ve recommended rejuvenating hedgerows and carrying out tree surgery. 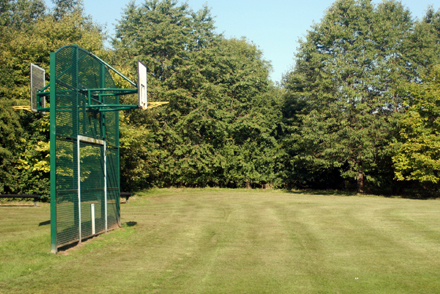 When we took on the contract, the local recreation ground was a key area of concern. The surrounding vegetation was very overgrown, and this was having a negative impact on the recreation area itself. Over the course of a few months, we carried out a careful programme of coppicing, reclaiming extra recreational space to ensure the area is bright and welcoming, even during winter months. I feel that Scofell Commercial Landscapes has improved our recreational areas with their attention to details. They are quiet happy to discuss even the slightest complaint and always willing to give advice on how to resolve any issues which arise. It is a pleasure to work with them.